Security experts are criticizing online note-syncing service Evernote, saying the service needlessly put sensitive user data at risk because it employed substandard cryptographic protections when storing passwords on servers and Android handsets. The scrutiny of Evernote’s security comes two days after Evernote officials disclosed a breach that exposed names, e-mail addresses, and password data for the service’s 50 million end users. Evernote blog posts published over the past few years show that the company protects passwords and sensitive user data with encryption algorithms and schemes that contain known weaknesses. That is prompting criticism that the company’s security team isn’t doing enough to protect its customers in the event that hackers are able to successfully compromise the servers or end-user phones. The chief complaint involves Evernote’s use of the MD5 cryptographic algorithm to convert user passwords into one-way hashes before storing them in a database. Use of MD5 to store passwords has long been frowned on by security experts because the algorithm is an extremely fast and computationally inexpensive way to convert plaintext such as “password” into a unique string of characters such as “5f4dcc3b5aa765d61d8327deb882cf99.” MD5 makes an attacker’s job of cracking the hashes much easier by allowing billions of guesses per second, even on computers of relatively modest means. By comparison, the use of slow algorithms such as bcrypt, which Twitter uses to protect its passwords, adds considerable time and computing requirements to the task of converting the hashes into the underlying plaintext passwords. Even when hashes are generated using cryptographic salt to add randomness—as Evernote says it does—MD5 is still considered a poor choice. 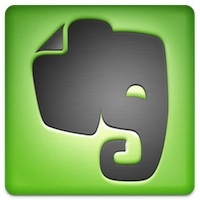 READ MORE: Critics: Substandard crypto needlessly puts Evernote accounts at risk | Ars Technica.